Have not recent political events and the return of 1980s fashion made us all question our collective ability to make good choices? Take a break from weighing the pros and cons. Have what we're having. The new Menu of Menus dining guide is on newsstands now with the skinny on new Humboldt restaurants, a visual guide to selecting a bar and primers on local cult sandwiches and festival food. Just pace yourself. Unfortunate fact of physics: A standard ice cream cone can only hold two flavors before things get sloppy and end in tears. If you're not already married to a flavor, the wait at Living the Dream Ice Cream (1 F St., Eureka) culminates with a scramble to pick from more than a dozen flavors. And even if you get two scoops, does mango habanero go with Dirty Monkey? Sure, you can get a sample but there are limits, both of decorum and the patience of the toddler behind you who wants a scoop of vanilla cake batter now. 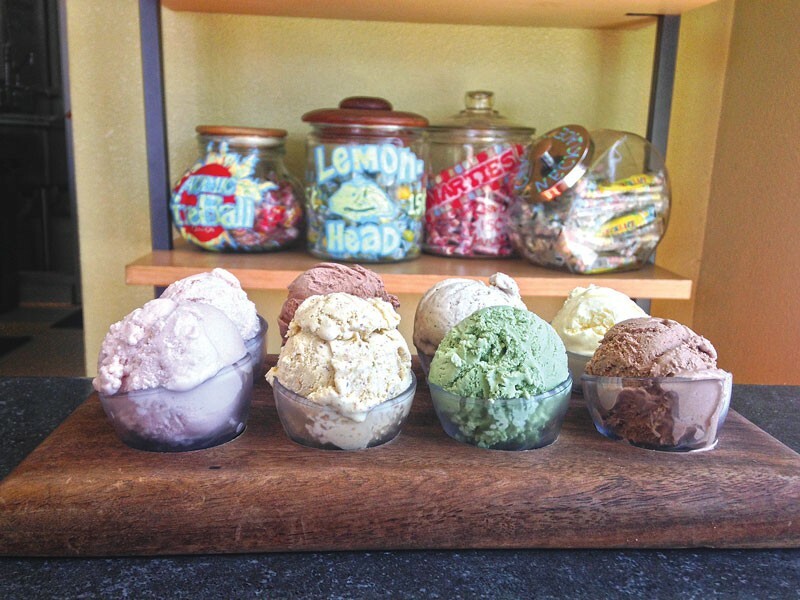 Enter the ice cream flight: eight 1-ounce scoops nestled in a custom wooden tray that someone should get going on marketing ($8.25). And unlike oenophiles and beer aficionados, you needn't follow any particular order. Order a couple of flavors outside your comfort zone and expand your palate. Nibble the salted pistachio and chase it with chocolate orange. A bite of chocolate banana ice cream paired with the light and milky strawberry is an instant banana split. Spend a little time on the complex green tea (fresh, earthy-smoky), then go back to chocolate orange by way of the aromatic Mexican chocolate. Cleanse your palate with the floral and dairy-free Coco Rose. 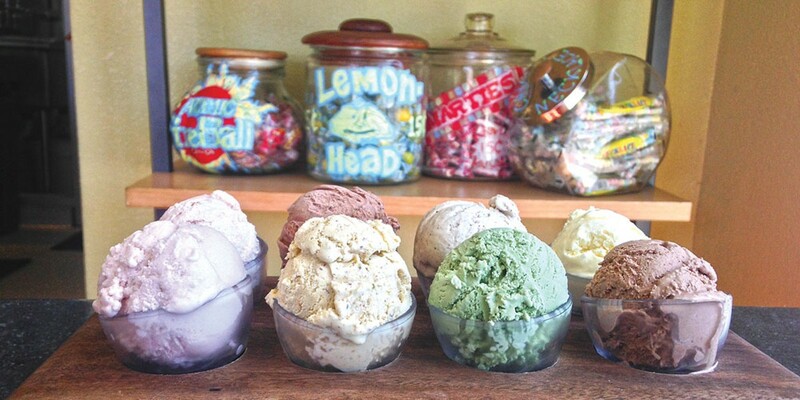 And digging into two rows of scoops with your tiny spoon does not make you a glutton; you're a connoisseur. We are not so much spoiled for choices as crushed by the never-ending waves of them. It never occurred to me as a child, for example, that I would one day find myself behind on watching TV. It is with the same Netflix-esque overwhelm that you sometimes open a Mexican menu, fold after fold, until the accordion of choices sends you seeking the refuge of your usual burrito. So the one-page, laminated menu at Taqueria Rosales (312 W. Washington St., Eureka), which just opened up behind Liu's, is a relief. There are still choices to be made about fillings for the half dozen regular items and the specials. 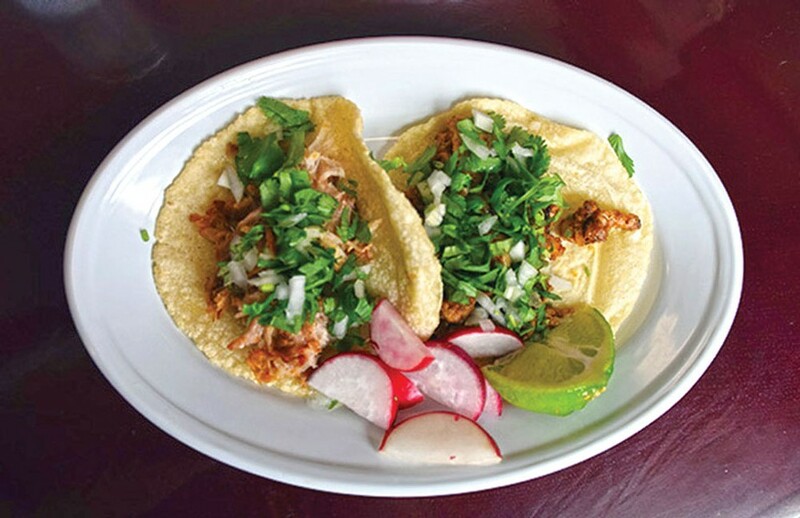 The carnitas taco is little but mighty, with a homemade corn tortilla — oh, the softness — and garnished with cilantro and onion ($2). Sure, you could go with a packaged tortilla for $.50 less, but is that who you are? Is that how you'd treat a friend, much less the salty, pan-crisped shreds of pork your server's mother made for this taco? Who hurt you? Even plusher corn tortillas came wrapped in foil alongside the day's one and only special, short ribs stewed in a bright, tangy chile verde with a side of beans and rice ($10). Yes, short ribs — another little upgrade to treat yourself. The meat needs only a little coaxing to leave the bone and the seedy tomatillo and green chili sauce has just enough heat to give you some color. Those same neighbors nodded knowingly when the huge square plate arrived covered in cream gravy, a biscuit teetering on its edge. 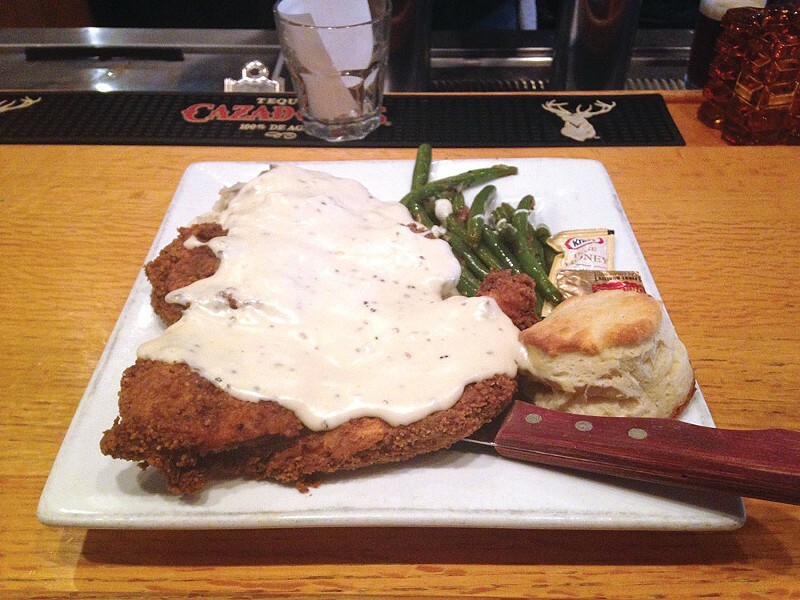 Instead of a standard leg and breast, this is a flattened, boneless full breast — resembling a deep-fried Pangaea — with a peppery, audibly crunchy crust that holds up under an avalanche of gravy. The coating is, as Elvis' cook used to say, "seasoned pretty high" and the marinated meat inside is juicy enough to make you forget about dark meat for a moment. Asked about the ingredients (is that cornmeal?) the cook replied, "just flour and egg wash." Lies. But we're not even mad. You will need your fork and the oversized knife — to cut, to share or to warn off the envious latecomers who didn't snap up those other three orders. Keep looking under that snowdrift spotted with cracked pepper and you'll find mashed potatoes (jackets on) and green beans slicked with butter. The homemade biscuit, though dwarfed by the tectonic plate of chicken, comes with a very Southern foil-wrapped pat of butter and packet of honey so it doesn't forget where it came from. What are you having? Send your hot tips on hot dishes around Humboldt to Jennifer@northcoastjournal.com or via Twitter @JFumikoCahill, #Hum_Plate, and out team will do science on it.